I remember it clearly. The date was September 6, 2007, and I was sitting in a taxi outside an office in Langley, UK. Håkon Dahle (an ex-Tandberg colleague) and I were watching the clock tick until 10am, when the Norwegian stock exchange would open. At 10am, we would enter the office and announce that our company Tandberg had acquired Codian, another leading technology company in the videoconferencing industry. Ten years later, Cisco announced End of Life of the Cisco Telepresence Server, the last component remaining from the days of Codian > Tandberg > Cisco acquisition. The acquisition was hugely important. Tandberg engineers in Oslo were some of the best and brightest around, and created the best videoconferencing endpoints, soft clients, multipoint and management systems in the world. We were on the cutting edge of every component in the videoconferencing industry, from call control/firewall traversal infrastructure to Endpoints and now state-of-the-art MCU technology. During the previous two decades, these endpoints and on-premise network components were the only option for professional videoconferencing. When deployed correctly, the experience was fantastic. 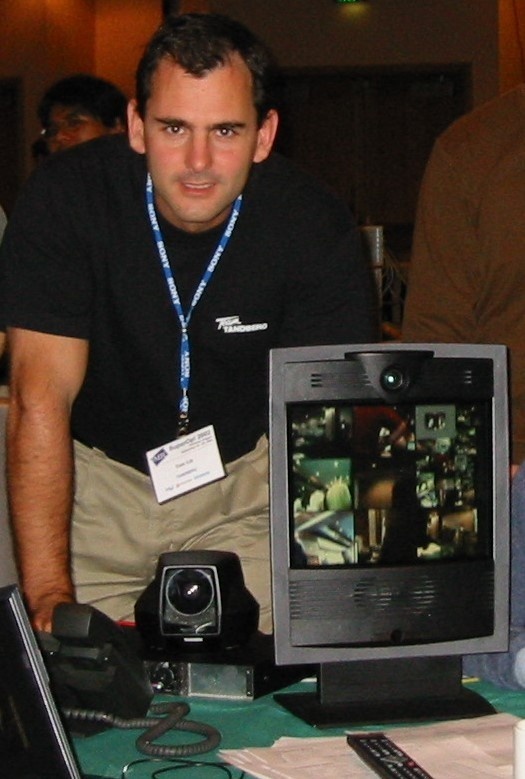 In fact, I’ve spoken to many companies where access to professional video communications completely changed the culture and the way the company worked. It was a dream to see how some companies became dependent on, and could not live without our video solution. The drawback? Companies had to purchase the infrastructure, set up the network, and maintain the all of this infrastructure themselves. The process was incredibly complex, expensive, and difficult to scale, so videoconferencing became a solution only for those few dedicated companies who truly believed in the power of visual communications. It was also a painfully slow innovation cycle, where feedback from recently released functionality could take years from launch to customer implementation, to usage and to finally getting real feedback from users. In today’s fast-moving technology landscape, those kinds of timelines will cripple the speed of innovation. So how does one build a video solution that combines the quality experience of dedicated videoconferencing endpoints with the flexibility, mobility, scalability, affordability, and interoperability companies need? Two words: the cloud. Cloud-based videoconferencing was the only way to ensure long-term ROI for existing hardware investments. For me, it was also the start of a new journey. I founded Videxio in 2011 with the simple belief that video should be at the heart of every conversation and available anywhere, on any device, at any time. Today, I’m proud of how we’re delivering that vision around the world. With customers in more than 195 countries, support for manufacturers like Cisco, Polycom, and Huawei, and integrations with Microsoft Skype for Business, streaming solutions like Kaltura and Qumu, as well as social media channels like Facebook and YouTube Live, we’ve come a long way in integrating video into the conversation. We’re working with some of the world’s most sophisticated, well-known enterprises including IBM, Morgan Stanley, and Spotify, to help them communicate quickly and easily. Collaboration does not stand still, though. We’re only scratching the surface on what’s possible, and we’re constantly listening to customers to make sure we’re delivering what they want. We’re no longer bound to the costs and complexities of clunky, on-premise videoconferencing. As we look towards to the next 10 years, I predict we’ll see more cloud-based collaboration solutions. Technologies are rapidly evolving, and the advent of augmented reality, virtual reality, and artificial intelligence brings even more promise to the video communications space. Cloud-based tools not only deliver the simplicity and cost-savings we need today, but will open the doors to new possibilities in the future at an even faster pace.